This statue was once a part of the Olde Kennywood Railroad ride at Kennywood Park. 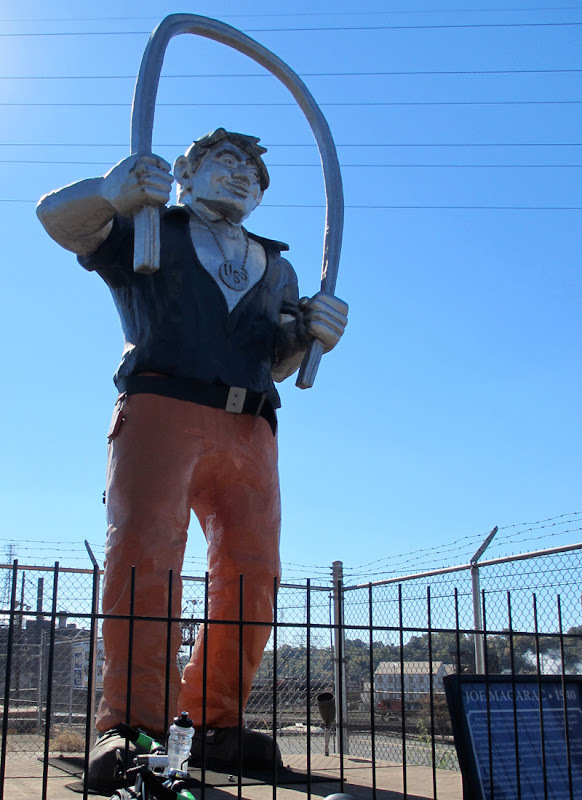 A bit of a folk hero, Joe Magarac was a mythical character made of steel that protected the steel workers. This statue is one of several images of Joe that we've found in public art around town. Figures of other steel workers are sometimes mistaken for (or just assumed to be) him though. The stained glass image of The Puddler in downtown Pittsburgh is one example of that misidentification. Most of the murals depicting Magarac show him bending a steel beam with his hands. There’re two good stories of the legend of Joe Magarac here, and here.